This graph shows how temperatures have changed over the last 11,000 years, since the end of the last glacial stage. The graph uses data from modern temperature records, plus information about the past from a research paper that combined data from over 70 different scientific studies. The green part covers the time as the last glacial stage was coming to an end, and the great ice sheets were melting. The last glacial stage ended about 10,000 years ago. 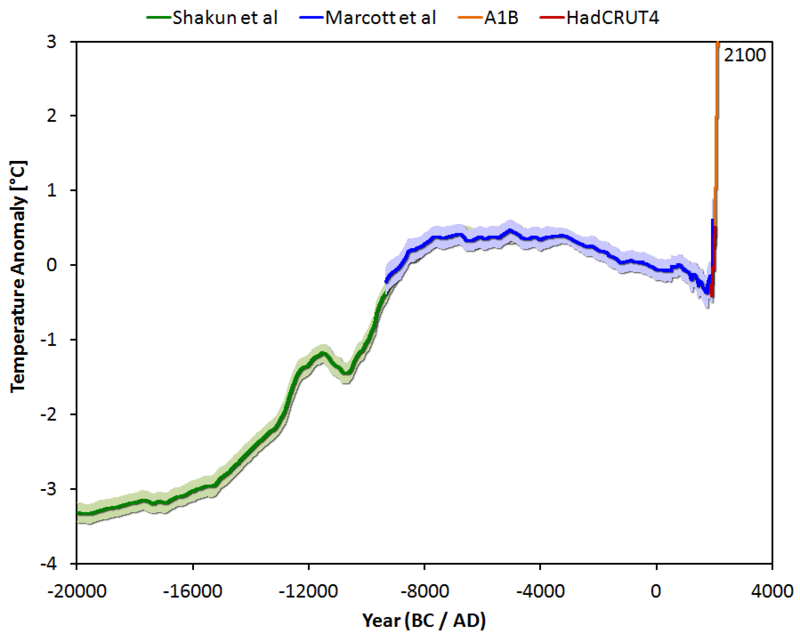 Then, for nearly 5,000 years, global temperature was surprisingly stable. 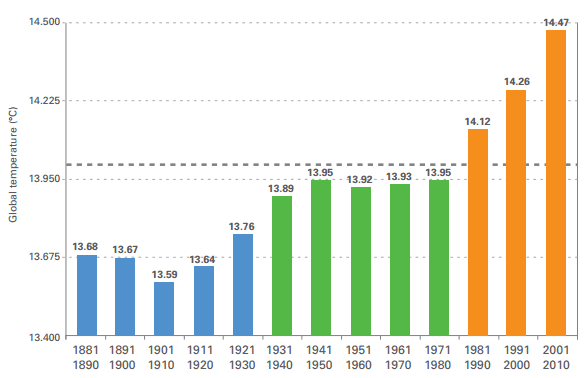 In the next 5,000 years, up to about 1800, global temperature declined by about 0.7 deg.C. From 1800 until 2000, temperature rose by about 0.8 deg.C, according to the World Meteorological Organisation.